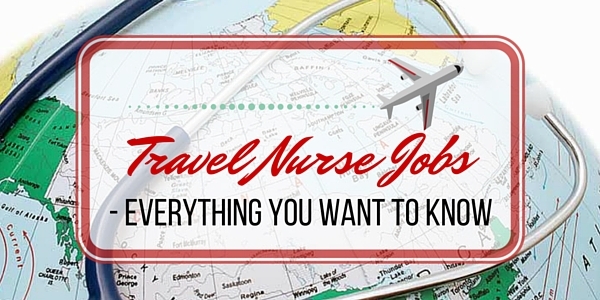 There are many travel nurse jobs offered nowadays so more nurses are becoming interested in travel nursing. It is a new subspecialty in nursing that became popular as nurses around the world adjusted to the demands of patient care in the healthcare industry. It is a promising field for nurses who love to explore and go for some adventure. Imagine having an extended vacation to a place you always love to visit while still working as a nurse. You can experience living as a local while you pursue your profession. After several weeks (or months), you can move to another destination without giving up your career. This is the exciting life of a travel nurse. 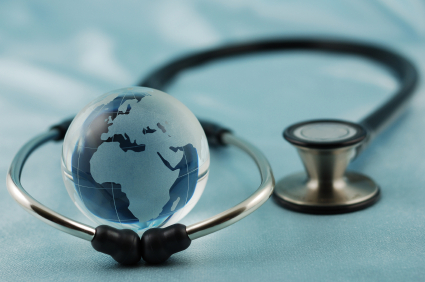 They move between different states and countries to help fill-in staffing gaps of various healthcare institutions. Each assignment typically lasts for weeks and you can start another contract in another place as you wish. Travel nurses are able to find contracts through travel nursing agencies. With these agencies, their options of where to move next are laid out. This way, travel nurses have the freedom to select the contract they want. Most travel nurse jobs nowadays require at least 1 to 1 ½ year of clinical experience. Some nursing sub-specialties like Med-Surg, ICU, psychiatric and rehab nursing may require at least 1-2 years of professional experience in a specialized field. Some states may have additional licensure requirements and your travel nursing agency can help you accomplish them. Housing support is provided by most travel nursing agencies to their travel nurses. Usually, it consists of a one-bedroom furnished apartment where utilities may be included, like telephone, cable television and internet service. For nurses that will choose to find their own housing facility independent of the ones affiliated with their travel nursing agency, a housing stipend sis provided. Some travel nursing agencies also cover transportation expenses of travel nurses in going to and from the assignment location. This is usually reimbursed after the completion of the assignment. Standard benefits like insurance, vacation pay, 401k, tuition reimbursement and many other perks are also offered to travel nurses. 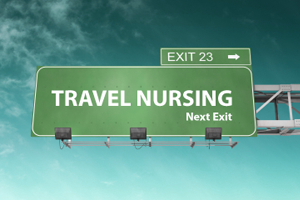 Different travel nursing agencies have varying benefit packages for their nurses. • Discover and explore new places for each assignment. 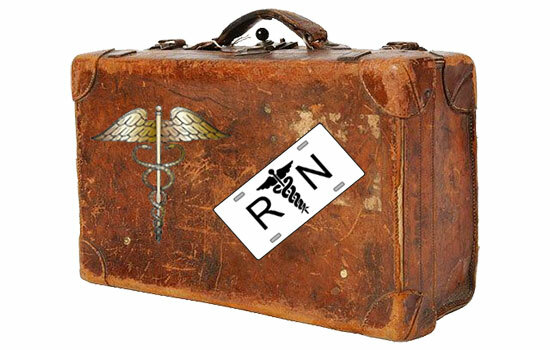 Travel nurses work in per assignment basis and it lasts for four to thirteen weeks. You can use this period in switching between working and exploring your new location. This is the ultimate dream of nurses who have the wanderlust but don’t want to give up their career in return. • You can expand your professional network. As you work in different places for each assignment, you can gain more connections in the nursing field. It’s essential to gain more friends and professional acquaintances from different places in planning your career. • Enjoy a flexible schedule. An average travel nurse assignment lasts for 13 weeks. After finishing the assignment, you can take a month off or sign up for another assignment in a different location. You are in charge of your own schedule after completing each assignment. • Build an impressive resume. 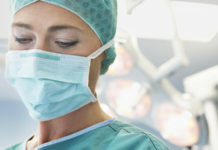 When a staff nurse frequently changes job, it could have a negative impact on his or her resume. But for a travel nurse who has taken many travel assignments, his or her resume reflects flexibility, adaptability and experience. These criteria appear impressive for most nursing employers. It usually tells potential employers that you have a lot to bring to the table. 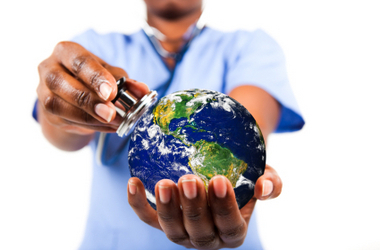 According to US News and World Report, travel nurses get the chance to choose to work for the best and with the best. The opposite can also be true. You can choose to work in obscure locations and take care of the underserved. • Constantly changing work environment is challenging. Adjustment to a new working environment takes time but you only have a short period of time to do this. This could be a major problem if you have issues in getting along with new colleagues. You can experience occasional hostility from other staff nurses who are not open-minded about travel nurses. 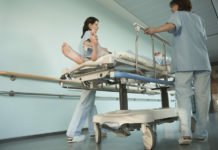 You’d also have to learn and work through new hospital policies for each assignment you take. • Next assignment is uncertain. You can’t anticipate when and where your next assignment will be. Although you have the flexibility to choose your next assignment, the contracts lined up are uncertain. • You should fix your cross-state licensing requirements. For each new travel nurse assignment you take, you should comply with cross-state licensing requirements of your next destination. This can be a time-consuming responsibility if you will frequently change your place of assignment every month. • Stable friendships is not a given. Depending on the hospital or institution you land in, your new colleagues will either welcome you with open arms (because they’re excited to have you help) or somewhat wary. You might come across co-workers who won’t want to invest in a friendship with you because they perceive that you won’t be sticking around for the long-term. On the other hand, it’s quite common for travel nurses to make good friends with other travel nurses. On average, a travel nurse makes $75,000 per year. The pay can go up higher depending on your assignment’s location, specialty, allowances and overtime pay. Shorter travel nursing assignments that last for less than 13 weeks usually have higher pays because of the associated cost of travel and relocation. Monetary bonuses are also offered at the end of each assignment especially for long term assignments. • Choose your travel nursing agency wisely. When selecting a travel nursing agency, check the benefits and support they offer for their travel nurses. Look also for the stability of the travel assignments they offer. As much as possible, find reviews of the nursing agency you are thinking to deal with. • Know your recruiter well. 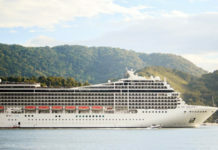 Your nursing agency and your recruiter will make or break your experience as a travel nurse. Find a recruiter who has been at this for a while and has knowledge and experience in placing nurses. • If you want to skip complying with licensing requirements, consider the Nurse Licensure Compact (NLC) when taking new assignments. This will be possible if your home licensing state is a member of NLC. NLC facilitates reciprocity of licenses among member states as long as the home licensing state of the nurse is in good standing. Currently, there are 23 states under NLC and you can switch practicing in these states without worrying about the validity of your nursing license. • For your first assignment as a travel nurse, consider working in your state or a neighboring state. Statistics tell us that 80% of first-time travelers choose to get their feet wet by working in-state or in nearby states. This makes the transition easier until a nurse feels more confident to go for more distant locations. • If you want to explore your new place of assignment, plan your outdoor activities beforehand. Travel nurses are often assigned as floaters and you can be assigned to work overtime as the need arises. By planning your outdoor activities beforehand, you will maximize the available free time you have while completing your travel nursing assignment at the same time. It is not unusual for travel nurses to take assignments nobody wants. 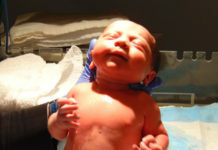 Because of this, you may experience difficult working conditions with uncooperative nursing colleagues or patients. Whatever happens, don’t take things personally. Whenever you feel degraded and disregarded in your new assignment, never get tired in believing in yourself and in your nursing skills. Travel nursing is best for nurses who love challenges and adventure. It might not be the right field for you if you are sensitive, stressed by changes and afraid to go out of your comfort zone. Nurses who are tired of routines and wanted new working environments can find this field rewarding. It is for independent nurses who are confident and don’t need hand-holding. People skills are also especially a huge plus in travel nursing as you will be dealing with a lot of new people on a regular basis. Opportunities abound for travel nurse jobs. And rather than regret in the future that you never tried, why not give it some serious thought today? Have YOU every been a travel nurse? Share your stories with us on our FB page or Instagram!